I have an old USB 1.1 hub that I was wondering if could be repurposed to something useful. Would it be possible to connect it to a wall charger with USB outlet and use the hub to get 4 USB charging ports? Or does USB hubs not like being connected to wall outlets? The image below shows a hub similar to the USB 1.1 hub I have. UPDATE: I did try this on some devices and the conclusion is as follows: My old Android 2.3 device will charge, albeit very slowly. My iPhone 5S will not charge at all. Unfortunately, it really depends on the specifics of the implementation of both the hub and device. Now, the vast majority of simple hubs don't really implement any sort of power control. They'll just connect the USB power lines directly to either their host or an external (regulated) power supply, which means you'd effectively be sharing the capacity of the power source over all ports. In practice, however, USB charging gets quite complex. The bottom line is: your USB 1.1 hub will probably charge your peripherals, but at a reduced rate. This isn't because the hub is actively limiting the current output, but because peripherals will limit the current they draw unless they can positively confirm the host is capable of supplying that current - to prevent damage to hosts that can't. Now, this reduced rate depends on the specific peripheral, and also on the specific hub - but it likely ranges from 100 mA to 500 mA, which is far less than a modern smartphone's max over 1000 mA. If the host implements some kind of power control, then the peripheral must initiate a data connection and negotiate properly. Even though this is technically required by spec (except the newer battery charging specs), some peripherals might not do so - I imagine most smartphones will at least try, but there's many dumber USB peripherals that won't. In the case of a hub connected to a USB power supply without a proper host, it might not work at all. USB 1.1 and 2.0 define one unit load as 100 mA, with a max of 5 unit loads (500 mA). USB 3.0 defines one unit load as 150 mA, with a max of 6 unit loads (900 mA). Modern devices often need more power - smartphones often draw 1000 mA - 2000 mA. There's a battery charging specification that deals with this. See https://www.pericom.com/support/technical-articles/how-usb-charges-just-about-any-electronic-device/ for details on how its negotiation and detection works, but that's not too important. The charging limit is 1500 mA, but only if the data lines are shorted together (or respond as if they have been). This is not the case with a data-capable host like a USB hub. There's an additional profile that deals with this, but a USB 1.1 hub probably does not implement it. Practically, with a non-compatible host most smarter peripherals will fail to detect a high-capacity source and will therefore fall back to charging at 500 mA max. This means your USB hub will likely charge significantly slower than plugging the peripheral directly into the charger. There are some other specs (e.g. Apple's protocol, Qualcomm's quick charge protocol, etc.). They all have their own detection and negotiation methods. They also will not occur with a USB 1.1 hub. There's a newer USB Power Delivery spec, but it deals with all sorts of wacky things like different voltages. Again, with a USB 1.1 hub none of that applies. You can use it to recharge your gadgets, but an old USB1 hub will only output max 500mA per port (according to the specs) and that means very long charging times. Additionally, newer devices won't even charge when connected to such low power connectors. But you may give it a try. TLDR: maybe, but you probably shouldn't. I tested this out, not terrifically scientifically. I used my phone - a moto G (the original model X1033) and an app called ampere as my measurement device. I used a second phone (an old HTC one V) as a second 'load'. I only measured one device, with the HTC one V just to see what happens. I've put what the reading on ampere was once the current reading had mostly stabilised. My USB 1.1 hub was generic, and I tested with a xiaomi charger (Rated to 1A 5V) and powerbank (Rated to 1A and 16000mAH at 3.75V and 10800 at 5V), and the "charging" socket from a Thinkpad x220. I used a powered usb hub from a Roccat Apuri since it was on my desk (Well all of these were!). As a baseline, a 500mA 5V charger that came with my moto H output up to 490mA according to ampere. I used the cable from the powerbank for the moto G and another cable for the second device - both are known good, and tend to be reliable cables for charging from both on device USB ports. There's no 2 device with hub reading for the battery bank - it refused to charge the phone till I unplugged everything when I tried that. The powered USB tests didn't involve the unpowered USB, since... I kinda wasn't bothered. I'd expect to behave like the laptop did. The powered hub was at 360Ma, but since it's a powered hub, the second device has no effect on the Moto G's rate of charging. For multiple devices this is the most consistent, but this doesn't use the USB 1.1 hub at all! In short? Not a great idea. At a pinch? Plausible, but wierd stuff could happen. Practically? You're better off buying a decent powered hub than using a unpowered hub with a wall plug - Its about as complex as the setup you envision, probably easier to set up in a sane manner (USB hubs have SHORT cables), and I'm getting a consistent 360Ma (as with the x220) regardless of what I have plugged in. Yes. I use a simple USB hub I bought in the $5 store to charge my Galaxy 5 and Charge HR at the same time. It works fine but won't charge my tablet. 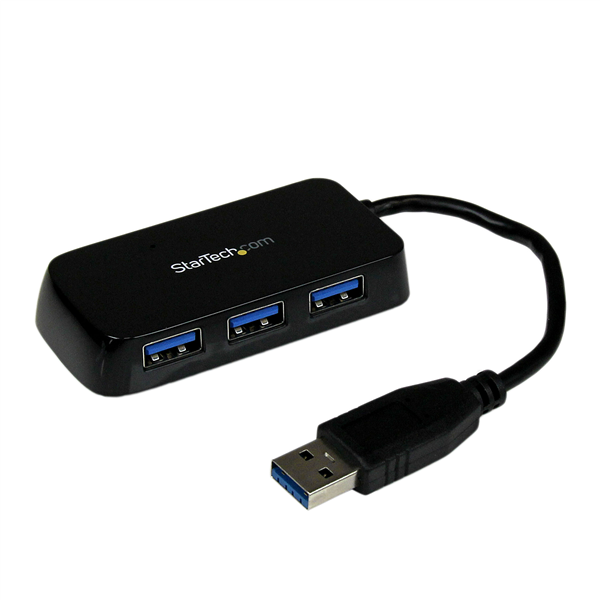 USB 3.0 hub; what can it power? How to estimate download/enumeration times in large USB trees? Why is charging mobile devices via USB so slow? Can a QuickCharge 3.0 or Type A USB charger charge my Nexus 5X just as fast as a 5V/3A charger? Can I use an externally powered USB hub, solely as a charger?